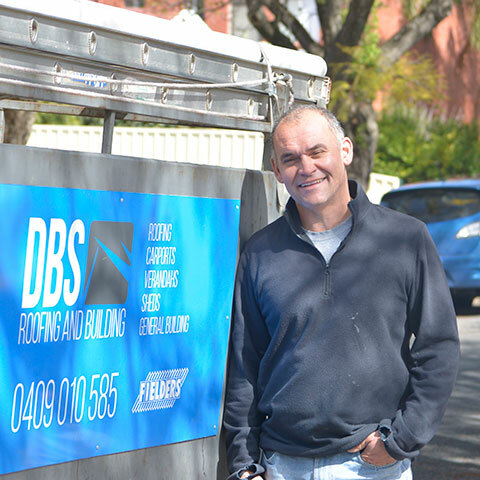 Based in Adelaide, DBS Roofing and Building is a family owned business founded by Dimos Stefanopoulos in 2003. Dimos and his team have been actively involved in South Australia's building industry for the past 25 years, and they pride themselves on quality workmanship. Specialising in iron roofing and building solutions to suit both domestic and commercial fields. We can provide you with a professional service at an affordable price. We are a small, dedicated business servicing metropolitan Adelaide and pride ourselves on delivering quality workmanship that will stand the test of time. We offer prompt, no obligation quotes. We work with builders, architects and home owners. We use quality Fielders Centenary products. Based in Mitcham, Adelaide, DBS Roofing and Building is a family owned business founded by Dimos Stefanopoulos in 2003. Dimos and his team have been actively involved in South Australia's building industry for the past 25 years, and they pride themselves on quality workmanship. © Copyright 2019 DBS Roofing and Building.